We launched this site because we love West Hollywood, and we can’t read enough about what’s going on here, about the people who make the city unique, and about the issues our young city faces as it grows up. We think West Hollywood deserves a news medium whose look and voice reflect its unique personality, and the editorial resources to cover what’s really happening. But WEHOville is not just about news. Some of us are passionate about what is happening at City Hall. Others of us care more about what’s on sale on Melrose Avenue. Some of us feel a strong connection with the gay community. Others feel a strong connection with our fellow Eastern European immigrants. Some of us live here because of the access to art and culture. Some of us love the bars and nightlife. WEHOville.com is for all of us. WEHOville has two primary goals. One is to be the complete source of information we need to make the most of life in California’s most creative and diverse city. 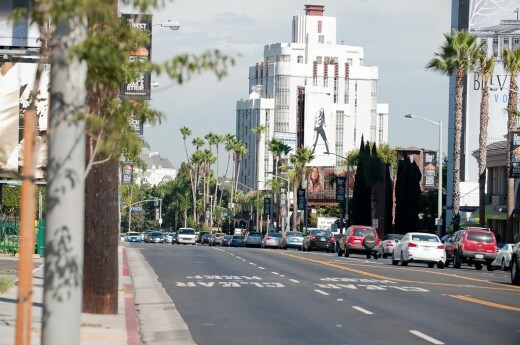 That means WEHOville covers a wide range of subjects and covers the variety of communities that make West Hollywood such an interesting place to live. Our other goal is to foster an informed and engaged community. A city can only thrive and prosper if we have the information we need to make crucial decisions, whether about politics, development, preservation, traffic, taxes or spending. From a journalistic perspective, WEHOville is old-fashioned: Our news coverage is factual, objective and balanced. We want to hear from all sides on a given issue. Without compromising that, we also intend to have fun. You should get an occasional laugh out of what you read and see on WEHOville. If you don’t, WEHOville isn’t accurately conveying the spirit of West Hollywood. WEHOville is a project of WHMC (the West Hollywood Media Company). But more importantly, it’s a labor of love by a team of incredibly talented folks we’ve assembled to help us create and operate WEHOville, who are listed below. If you want to know more, email me at Henry@WEHOville.com or call me at (323) 454-7707 or text me at (917) 335-6962 (my mobile). I’m eager to hear your thoughts about WEHOville, and especially thankful to any of you who let me know about errors that we news gatherers inevitably make. Doug Stichler is a California native who found his way into West Hollywood at the ripe old age of 16. After graduation from school he became an entrepreneur, opening one of the very first tanning salons in Southern California. Stichler then opened a John Robert Powers acting studio before heading to New York City. There he became the head booker of Ikon Models. Stichler was hired to open and operate several for-profit colleges across the country. In 2011 Stichler moved back to WeHo. In his various positions, Doug has developed solid skills in advertising and marketing. He is known for his ability to engage with clients and understand their needs and then develop advertising and marketing solutions that help them meet those needs and accomplish their goals. Doug lives in West Hollywood where he enjoys life with his fiancée, Enoch Miller (widely known as the “Empress of WeHo”), and their little pitty, Drake. Through his work with WHMC, Stichler helps the local community and its businesses grow and thrive. To discuss advertising and marketing opportunities, email Doug at Doug@wehomediaco.com or call him at (323) 243-7521.